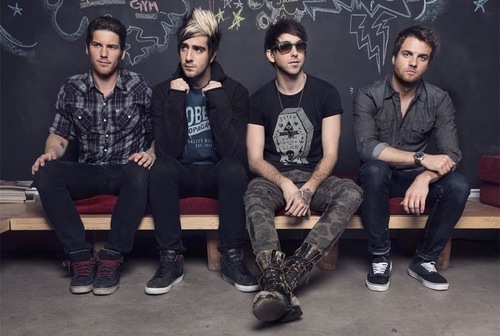 All Time Low are a band born out of a mutual admiration for the influential punk and indie bands of the early 2000s, so it may come as no surprise that the group recently paid tribute to one of their favorite bands during a benefit performance in Baltimore. On July 12 of this year, the members of All Time Low performed a stripped down set as part of a benefit show in Baltimore, MD. During their show, the guys surprised fans by sharing a full band acoustic cover of Jimmy Eat World’s “Hear You Me.” We were not on the premises that night, but we heard about the performance through Twitter and were immediately a bit disheartened that we had missed such a special moment. Thankfully, a day later a video of the cover appeared online. You can view fan filmed footage of the cover, which has surprisingly great sound, at the end of this post. I’m a longtime believer in the idea of All Time Low embarking on a nationwide acoustic tour, but I don’t know if the guys in ATL would agree with me. Would you like to see a tour like that take place? Comment below and let us know your thoughts.